Dream Refugee has always been about creating change in our community from the ground up. Founder and President, Mohamed Malim, a determined student refugee, took the initiative to launch a nonprofit organization during his junior year of college. He recruited a small group of talented, ambitious individuals who possessed a shared passion for storytelling and problem-solving. Faced with the difficulties of balancing their schedules and gathering resources to get the organization running, the team was characterized by their amazing energy and belief that anything is possible. Today, as a fully-operating organization, Dream Refugee consistently faces unforeseen challenges from our political climate that require bigger solutions and resources than our small team can accomplish alone. Building with compassionate and dedicated community members, limited only by their minds and imagination, remains a vital component in making a tangible difference in our world. 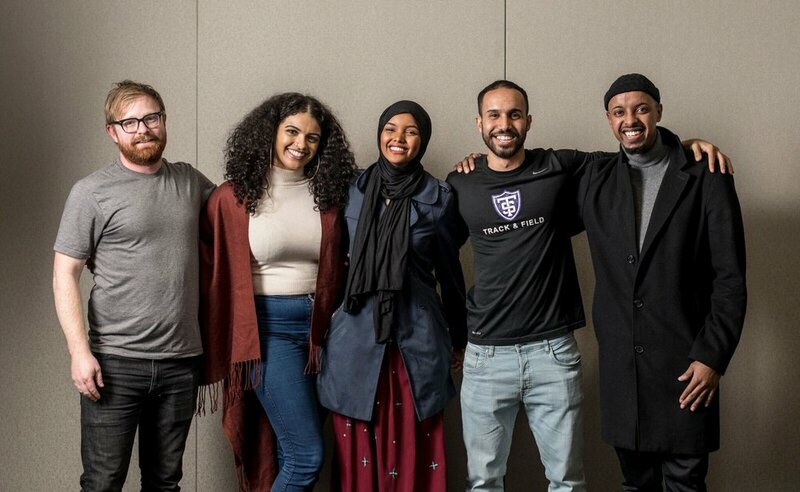 We firmly believe that Dream Refugee should exist, first and foremost as a platform for refugees to connect with the broader community. This allows refugees to share a sense of unity, address basic needs, and illustrate a more accurate picture of the people who surround us, promoting positivity and combating the negative stereotypes that many refugees are labeled with. Dream Refugee teaches us about what it means to be faced with great adversity and the resilience refugees display, not only aiming to survive but to thrive.